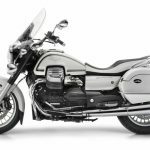 Piaggio announced it will unveil four new Moto Guzzi models at next week’s EICMA show in Milan as part of the eagle brand’s 95th anniversary. The four models will be a pair of V9 models, the Bobber (pictured above) and Roamer, a V7 II Stornello scrambler and the production version of the MGX-21 bagger. 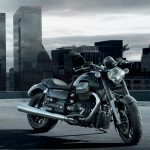 We’ve already seen spy photos of the Bobber and Roamer, but assumed they were using the same engine as Moto Guzzi’s V7 II line. 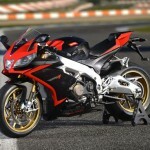 We now know they will be powered by a new 850cc V-Twin engine, hence the V9 designation. The new engine doesn’t mean the V7 models are going away, however. The V7 II Racer, Special and Stone will be joined by the V7 II Stornello, reviving a Moto Guzzi model name from the past. The original Stornello was produced from 1960 to 1974 and was one of the first Italian motorcycles that people started converting into scramblers. The new Stornello will come with knobby tires, a high exhaust mounting and the classic red colors of the original Stornello. 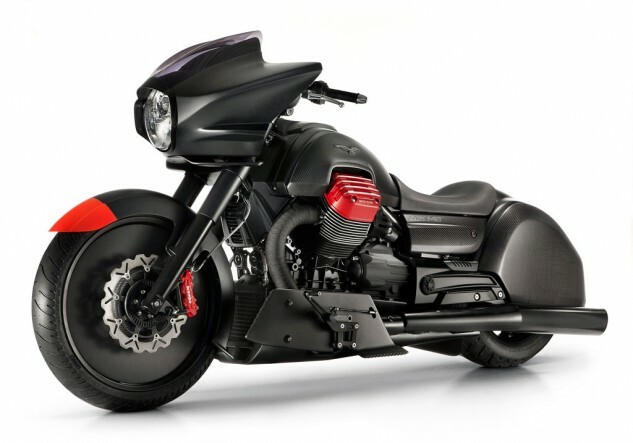 Rounding out Moto Guzzi’s EICMA lineup is the MGX-21 which was shown in concept form at last year’s show (pictured below). 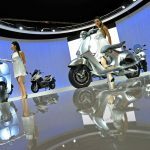 We expect it will have a similar sculpted fairing and 21-inch front wheel though the concept’s bags will likely be replaced with removable luggage. The MGX-21 will be powered by the 1400cc V-Twin, likely the one used in the California models. 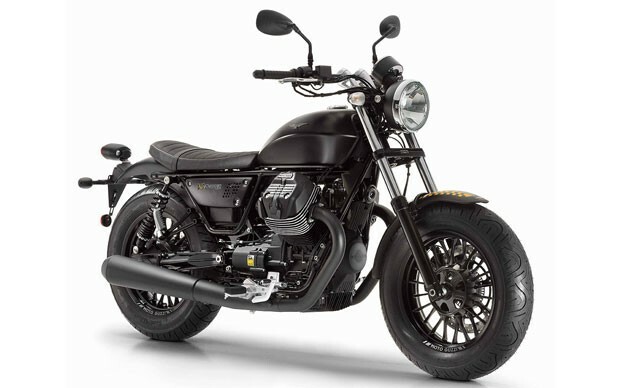 Full details on the new 2016 Moto Guzzi models will be revealed next week during Piaggio’s presentation at EICMA. Editor-in-Chief Kevin Duke will be in attendance and we’ll have full coverage of the 2015 EICMA show right here at Motorcycle.com.